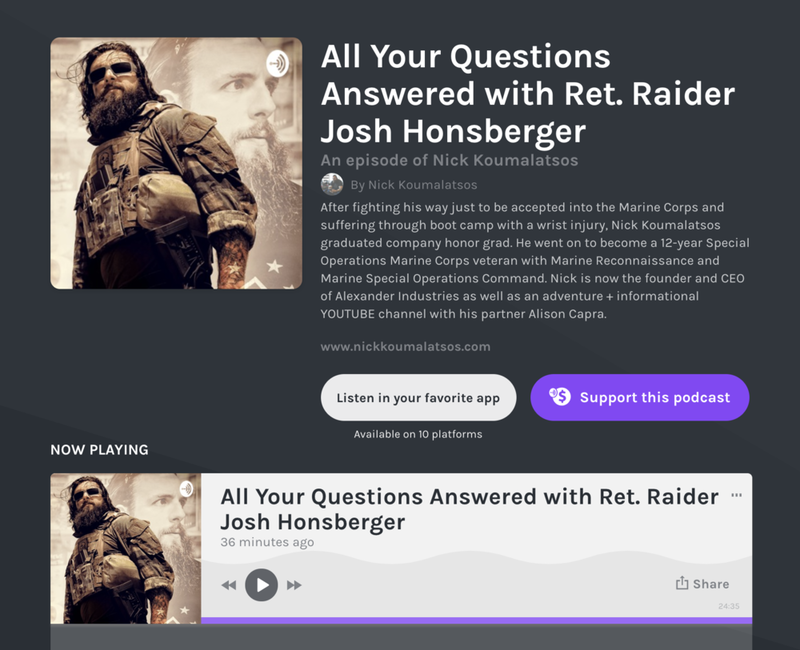 Nick sat down with Josh Honsberger, Former Team Mate and Marine Raider for a question and answer video. We discuss training for selection, married life as a Marine Raider, what made Josh and I join the Marine Corps, what made us join Special Operations, and what means more to us the EGA, or Raider badge? Josh and Nick developed RAIDER PREP. This is a 12-week program designed to develop the strength and stamina to successfully complete every physical aspect of Marine Special Operations Command Assessment and Selection. While having the overall stamina to be physically superior while attending assessment and selection. They have scientifically broken down the A&S requirements in order for you to optimize your potential without overtraining or causing injury.